Must have been itching for Master Suite to be released hey? Expect tantrums and trolling on the forums in the not too distant future. Or maybe Innuendo a.k.a TheOriginalBadBoy a.k.a KingOfTheNight has changed his ways this time round? I’ve seen plenty of his posts on the forum & I expect to see nothing less than 100% Twattery from the King of Twats himself. Ha ha! Yep, nothing like a bit of twattery to liven up the forums, followed by a complete and utter meltdown, then another ban. Seems like he’s behaving…for now. I guess it’s just a matter of time before he’s back to his old tricks. After all, once an attention whore always an attention whore. Maybe (but I doubt it). Lol Wibs 😆 It’s definitely him Miss Tickle, you only have to look at his friends list. You said at the end of the post that “maybe … has changed his ways”. I was responding to that not questioning if it was him. I could tell it was just by the avatar and a couple of his posts. He’s so predictable. I guess he must truly have nothing better to do! 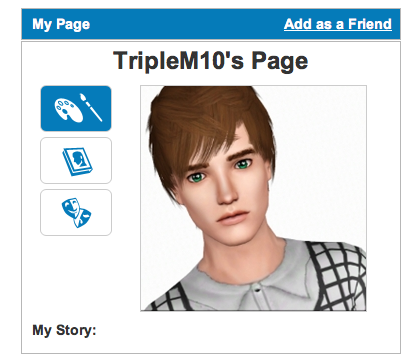 one reason why i don’t visit the TS3 forums anymore. i think if i would have seen him on my friend list i wouldn’t have batted an eyelid at friending this person.